A brand new cosy novel from bestselling author Debbie Johnson. Luckily for them both, the friendly community at the cafe provide listening ears, sage advice, shoulders to cry on, and some truly excellent carrot cake. And when Martha's enigmatic, absent father suddenly turns up, confusing not only Martha but Zoe too, the love and support of their new-found friends is the best present they could ask for. Have Zoe and Martha truly found their home at the Comfort Food Cafe? Readers LOVE the Comfort Food Cafe! 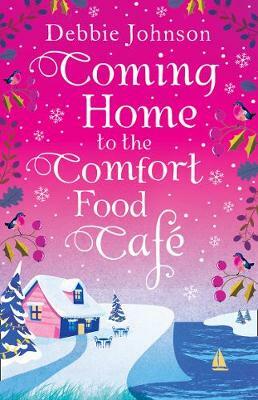 I've read a couple of the Comfort Food Cafe books before, and really enjoyed them, and I'm happy to say that Coming Home... is another excellent book from Debbie Johnson.